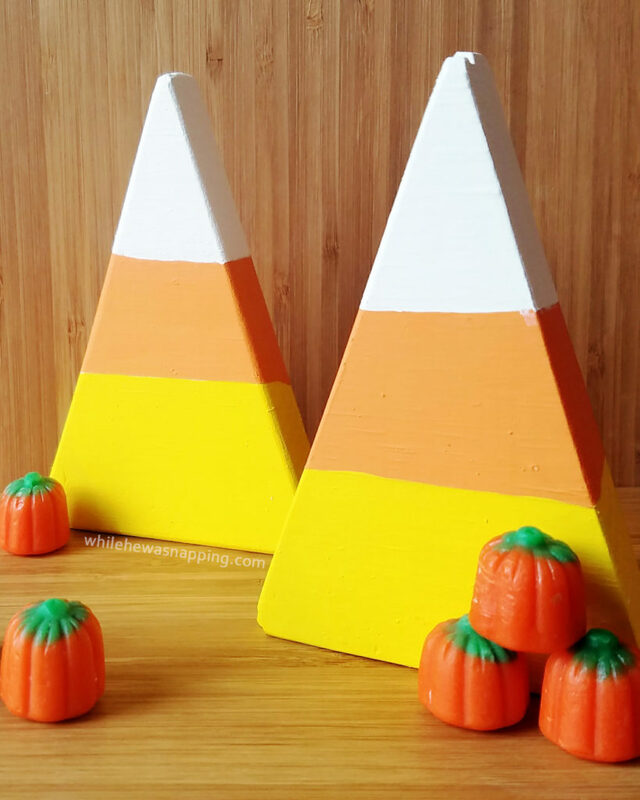 Wooden Halloween Candy Corn Decorations You’ll Want to Eat! Halloween decorations. It seems like it’s an all or nothing deal. Either we go all out and spook out the whole house or we don’t even so much as put up wreath or change the chalkboard quote. I am definitely in the latter of those two groups. Clearly, right? I’ve got two wooden candy corn decorations and that’s about all the decorating I’ve done for Halloween this year. Halloween is hard for me to decorate for because I know it’s the kick-off to what is always a CRAZY holiday season. I tend to skip Halloween because I’m trying to get ahead of Thanksgiving and Christmas. Halloween ends of being a rushed afterthought. 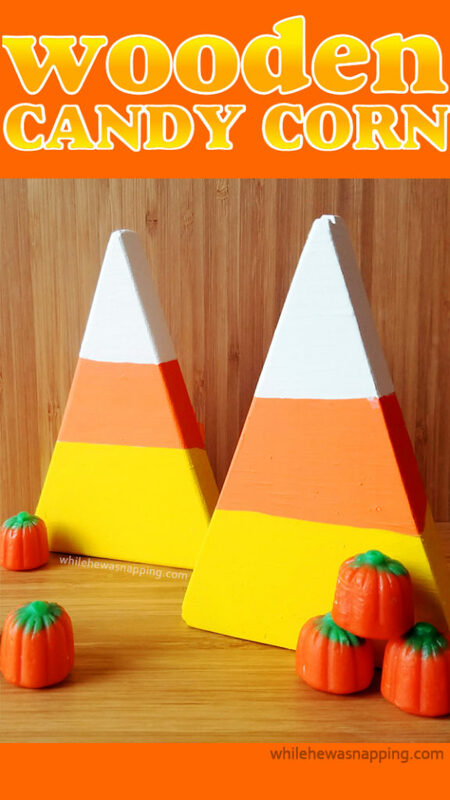 Enter these candy corn decorations. 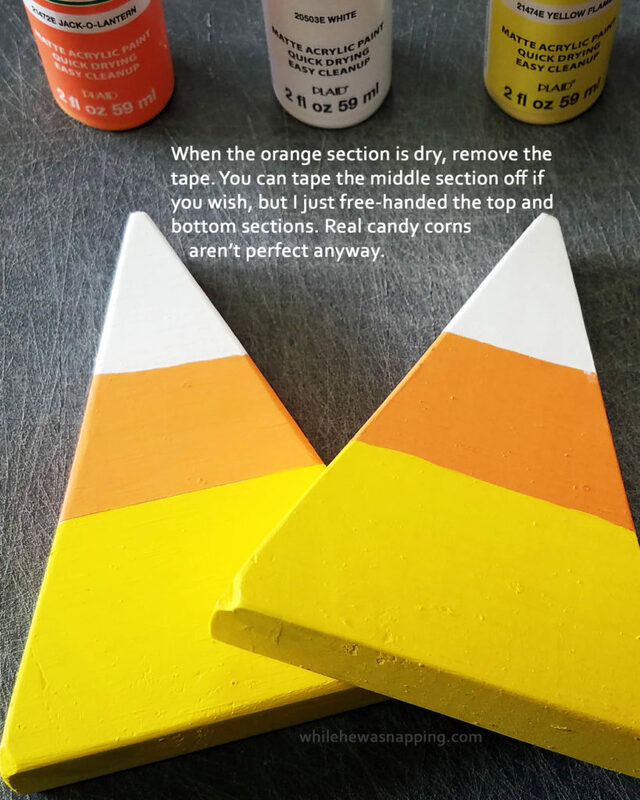 This project piggybacks off another one that is coming next month and I just happened to have these two extra pieces that I thought would look good as candy corn decorations, so they are last-minute. 1. 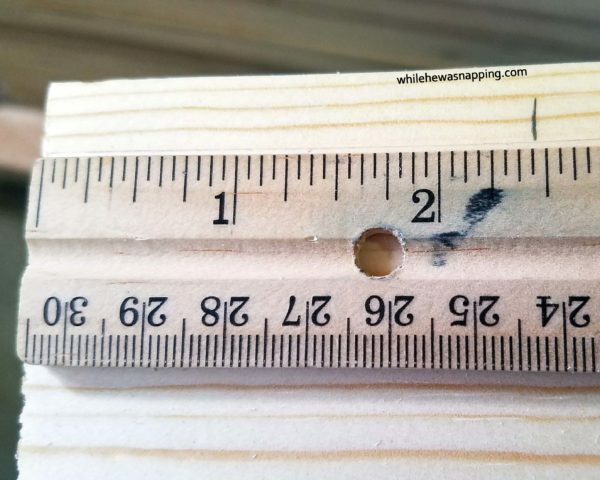 Use the tape measure or ruler and, on the top edge of the board, measure 2.5 inches from the end of the board. Make a small mark with the pencil. 2. 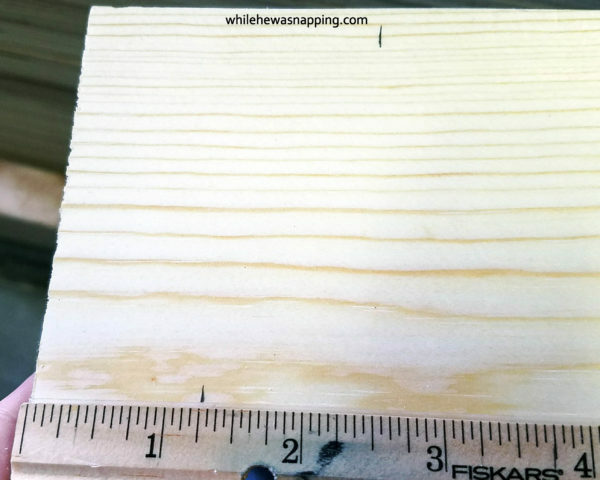 Move the tape measure to the bottom edge of the board, and measure 1.25 inches. Make a mark with the pencil. 3. 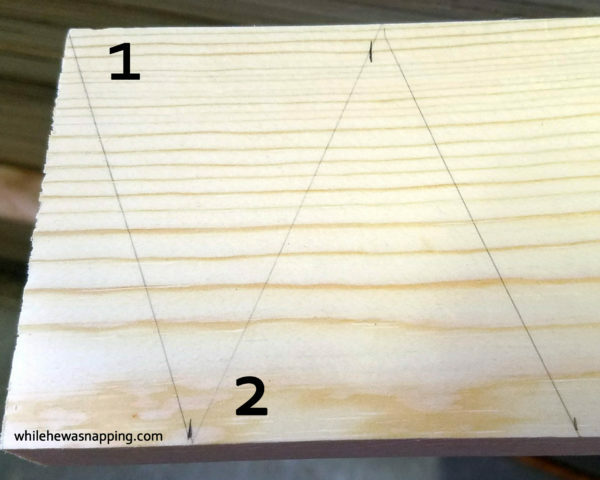 Use the straight edge of the ruler and line up the bottom mark with the top corner of the board. Draw a line to connect the two marks. Do the same from the bottom mark to the mark at the top. 4. 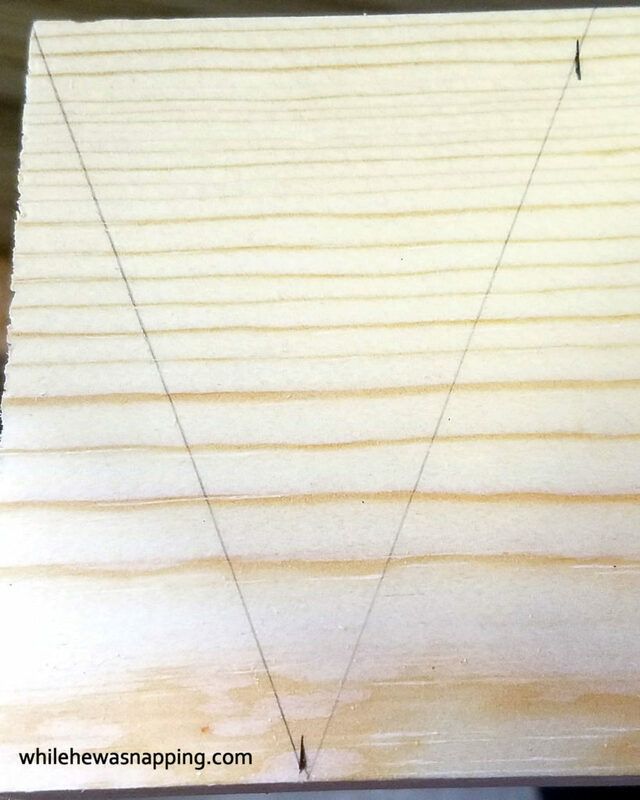 Repeat the measurements for the remaining length of the board. Use the saw to cut along your marks. 5. 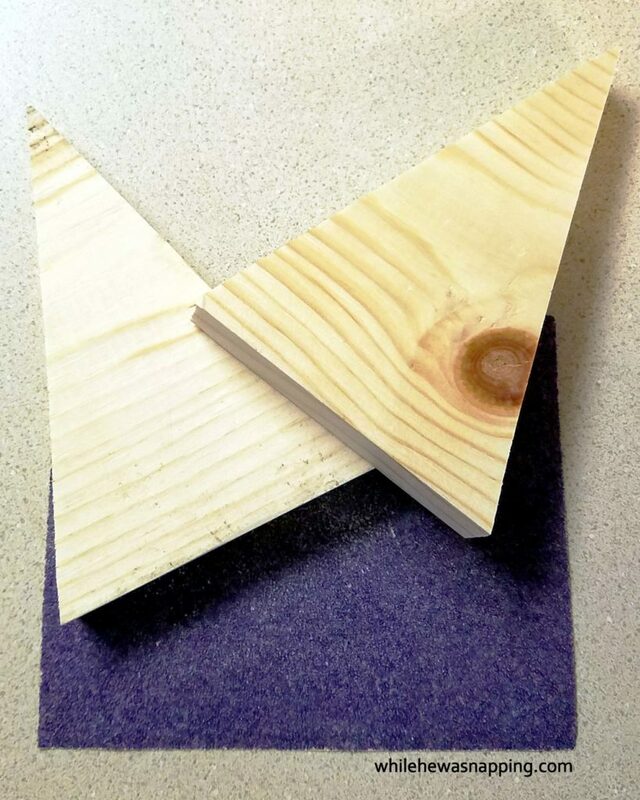 Use the sand paper to clean up the edges of each of the triangles. A rougher grit will take the edges down more than a finer grit paper. 6. Use your masking tape to tape off the middle section of each triangle so your paint won’t bleed into the other sections. You can measure the sections, but I just free handed and eyeballed it on mine. 7. Paint the top section of each triangle white and allow to dry for 20-45 minutes. Continue to add coats of paint so the wood is adequately covered. 8. Paint the bottom section yellow on each triangle. Allow to dry for at least 20-45 minutes. Repeat and continue to apply thin coats of paint until you have adequately covered the wood. 9. 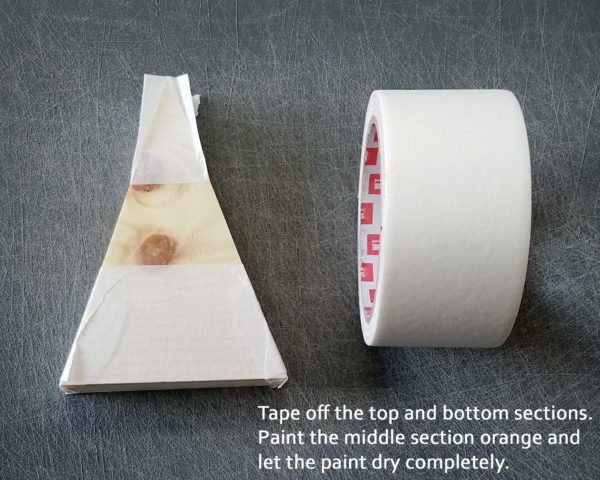 Remove the masking tape when the paint is completely dry. Wait at least 2-4 hours, or overnight if possible so you don’t have any paint bleed or smudging. 10. Paint the middle section orange. You can tape it off if desired, but I just free handed it carefully. Candy corn lines aren’t perfectly straight in reality, so I wanted mine to be unperfect too. 11. Allow the paint to dry overnight so you can set them out to display.